The new Telemark Post Secondary Program (TPSP) is in it’s first year. Establishing the program — with the help Kelowna Toyota, its main sponsor — is an attempt to address the decline of skiers graduating from high school, but unable to continue competitive racing. The TPSP is providing professional training and allowing athletes from across Canada reach their full athletic and competitive potential for high-level racing. Click here for a Kelowna Now article about the new program. On Sunday February 25, 2018 Telemark will be hosting our first snowshoe race. There will be three courses; 2 kilometer, 4 kilometer and 8 kilometer. This fun / family oriented event will start at the lodge. There will be food and prizes for participants and volunteers afterwards. So grab your snowshoes for some low impact exercise. Click here to sign up for the race. If you are able to volunteer a few hours to help out call Ron at 250 212-0704. Frustrated when we close the washrooms? We might be headed for some rough times for the balance of the season. First, let me share the design. Then I will explain the problem and what we are doing to mitigate. To overcome the peaks we get on Saturdays and on race weekends, we installed a 1200 gallon cistern. This allows the well to continuously pump at a leisurely rate 24/7 to fill the cistern and we have enough water stored to handle 900 toilet flushes. Water Works Shack. 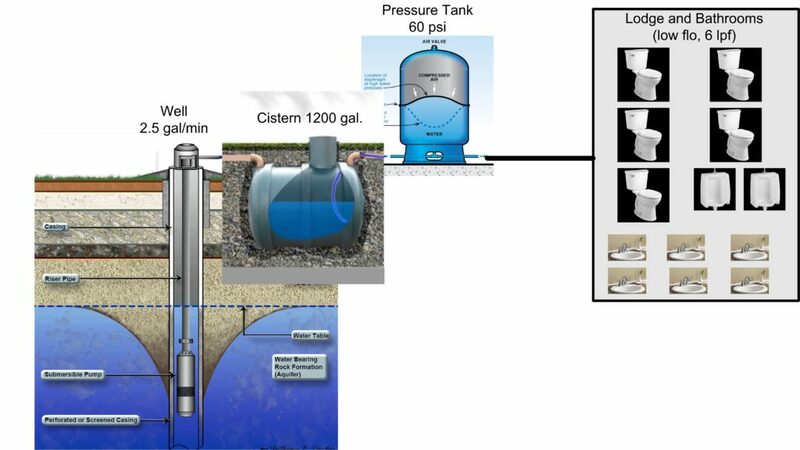 Well head, pumps, pressure tank, and heater to prevent freezing. After the never-ending drought this summer, our faithful well is no longer able to supply the 2.5 gallons per minute we are used to. In fact, it is barely giving us any water at all at the moment. We have installed a low-level alarm in the cistern to tell our staff when we don’t have enough water for the washrooms. When the alarm goes, we have no choice but to close the washrooms to preserve water for the essentials. We will keep the washrooms open as much as possible, but we will not risk a total outage. 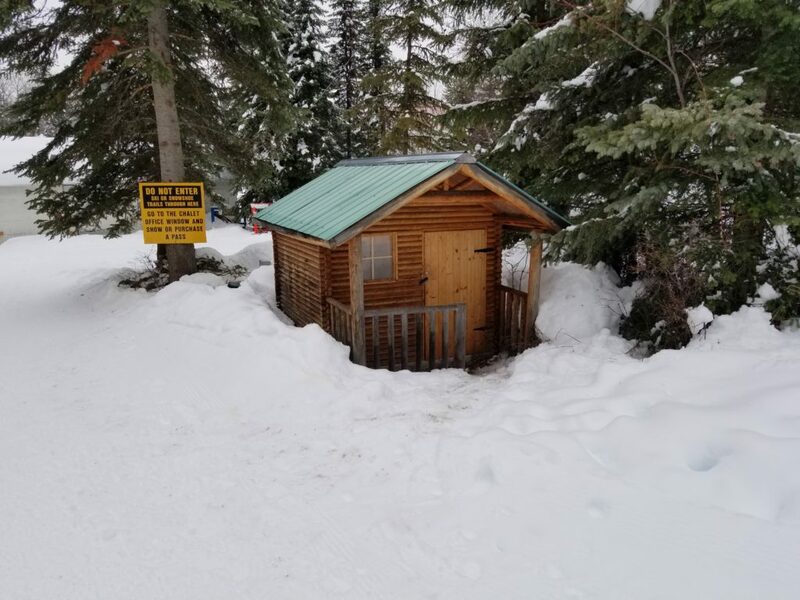 We are bringing in porta-potties for the rest of the season as a temporary measure. We are considering trucking in water as-needed to re-fill the cistern. If you know someone who can do this please contact Ron! This summer, we will be looking for a permanent solution. It may require drilling a second well. Thank you for your tolerance. I hope this helps you understand what we are up against. Congratulations to our athletes, Gareth Williams and Julia Ransom who are really making an impact beyond our club. Gareth Williams, who is currently the youngest of 8 male athletes on the Cross Country Canada National Ski team, last week was the top U23 skier at Canadian WJT, automatically qualifying him for the World Junior/U23 Ski Championships in Switzerland. Julia Ransom is likewise proving she belongs on the Canadian National Biathlon Team having already achieved two top-10 finishes this season racing in Europe on the World Cup circuit. She is currently the top ranked Canadian biathlete and — BREAKING NEWS — has just been selected to the Canadian Olympics team for the Big Show in South Korea next month. On Sunday February 25, 2018 Telemark will be hosting our first snowshoe race. There will be three courses; 2 kilometer, 4 kilometer and 8 kilometer. This fun / family oriented event will start at the lodge. There will be food and prizes for participants and volunteers afterwards. So grab your snowshoes for some low impact exercise. More information about the fun race, as well as how to register, will follow in the next few days. See you there! The 32nd Kelowna Apple Loppet is this Sunday. Any food items you can bringing for the race athletes will be accepted. Please drop it off at the lodge. All snowshoe trails are open, and skiing will be limited until Noon, on race day. Click here to register for the Apple Loppet. Click here for the X-C course maps. Click here for the youth X-C course maps. Click here for the race schedule. Our Annual Fresh Air Nordic Demo Day is this Saturday at the Telemark lodge. There will be cross country industry reps and products from Madshus, Rossignol, and Salomon. 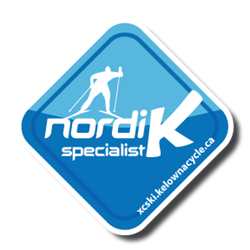 Get $25 Fresh Air Nordic Bucks when you demo a set of skis!